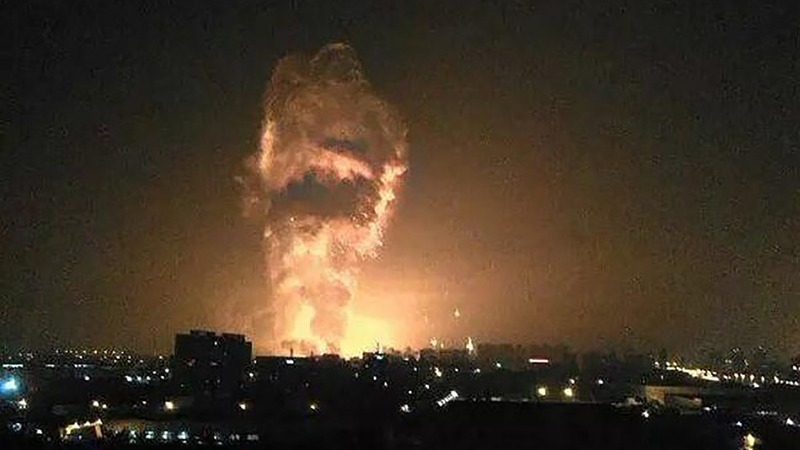 Update 27 August 2015: Experts confirmed that the Tianjin Blast is nuclear in nature. Update 18 August 2015: A bomb exploded in central Bangkok Thailand just 2 hours ago. Scores dead including tourists. 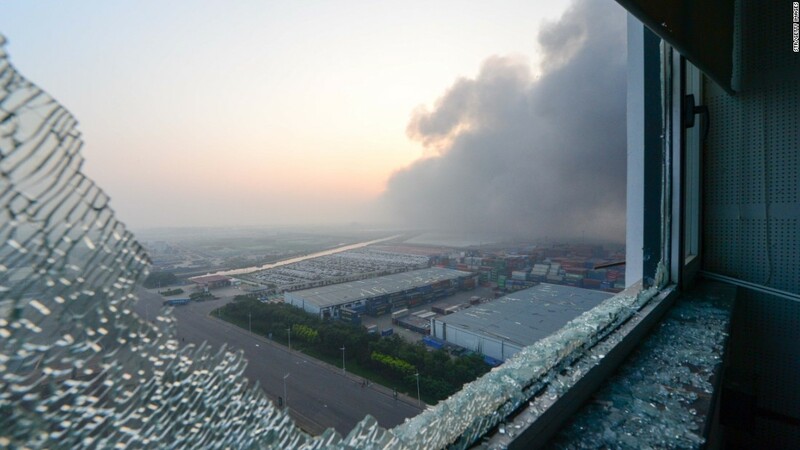 Update 15 August 2015: One source is now saying that the Tianjin Blast was caused by some kind of “special weapons device” that’s been dropped from a US X-37B spacecraft that’s still on orbit since May 20th of this year. 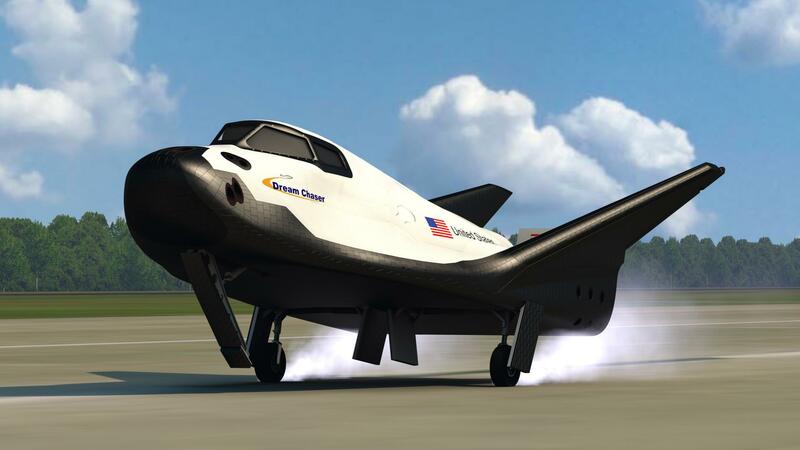 The U.S. Air Force’s X-37B space plane blasted into Earth orbit today, kicking off the robotic vehicle’s clandestine fourth mission — as well as the first flight of a tiny solar-sailing spacecraft. An unmanned United Launch Alliance Atlas V rocket launches the X-37B military space plane on its fourth secret mission for the U.S. Air Force on May 20, 2015 from Cape Canaveral Air Force Station in Florida. The robotic X-37B space plane launched atop a United Launch Alliance Atlas V rocket today (May 20) at 11:05 a.m. EDT (1505 GMT) from Florida’s Cape Canaveral Air Force Station. You can see a video of the X-37B space plane’s launch here. Yahoo posted this space.com update “22 hours ago.” Why give an update now? The United States Air Force’s X-37B space plane has now been in orbit for nearly three months on its fourth mystery mission. Surely, with the spacecraft’s black underbelly and stealth capabilities, monitoring scopes below won’t be able to see it in the dead of the night even if it’s directly overhead. 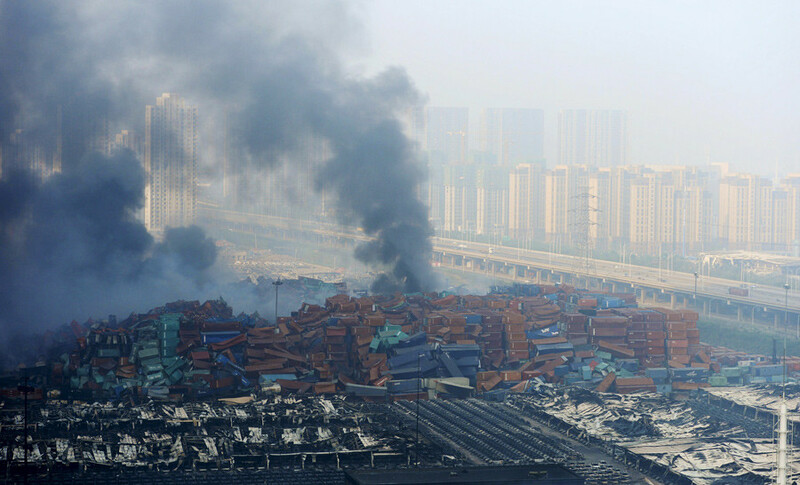 More than a day had passed and until now China is yet to determine the specific chemicals causing the massive explosions in Tianjin City. Are the Chinese authorities hiding something to prevent further escalating chaos in the country? Remember, the Chinese people as still grieving from the hundreds who went with Malaysian flight MH370 more than a year ago. We don’t think these people would take another hit lightly. Most of all, there’s never been a country claiming they’ve been nuked at the time of the attack. A covert operation such as this one will only be responded in kind, i.e. 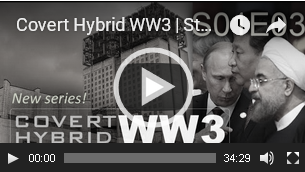 a covert retaliation that is far severe and should purposely cripple the enemy for good. 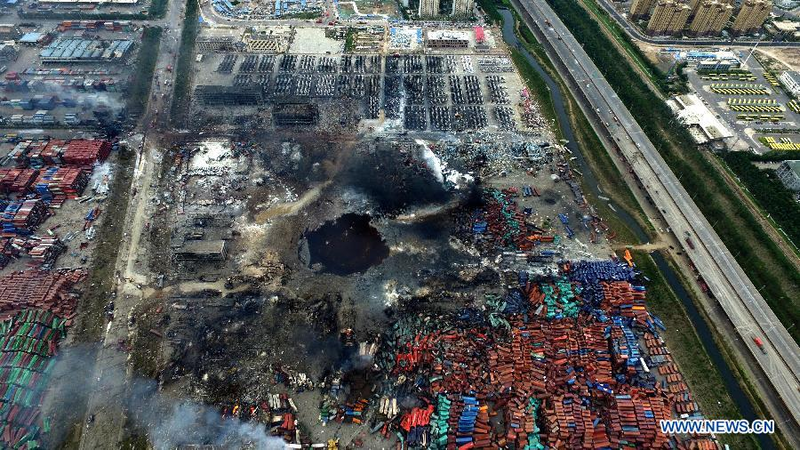 TIANJIN, Aug. 14 (Xinhua) — The dangerous chemicals stored in the warehouses that exploded on Wednesday night in Tianjin Port can not be determined at the moment, authorities said at a press conference on Friday. 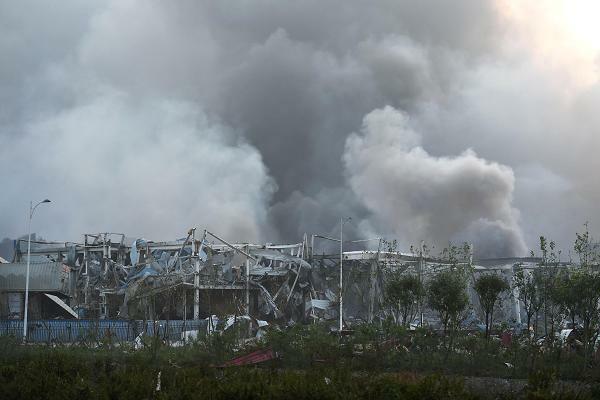 Gao Huaiyou, deputy director of Tianjin’s work safety watchdog, cited major discrepancies between the accounts of company management and customs, and damage to the company’s office as reasons they are unable to identify the chemicals. Cargo is stored in a warehouse for no more than 40 days before being transferred elsewhere, Gao said, adding that the blast sites have been redesigned to contain dangerous chemicals. The enormous blasts have killed 50 people, including 17 firefighters. 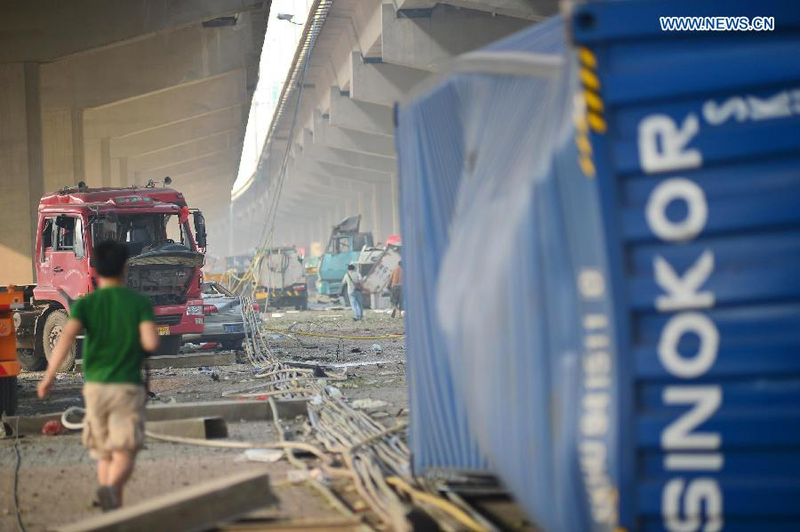 A total of 701 were injured, of whom 70 remain in critical condition. They can’t identify the chemicals because the office was blown away during the explosion? Certainly, there’s nothing we can do about that but, how about forensic testing of chemicals from actual samples taken from ground zero? Of course they have done that already and they already know what hit them. The Chinese had been sending manned and unmanned objects off-planet and back, they are that smart. The customs would never admit their incompetence of letting high explosives pass through their system, hence the discrepancies. Those flimsy excuses of purposely denying knowledge of the actual explosives used in the attack only suggest there’s a deeper and darker aspects to the event. 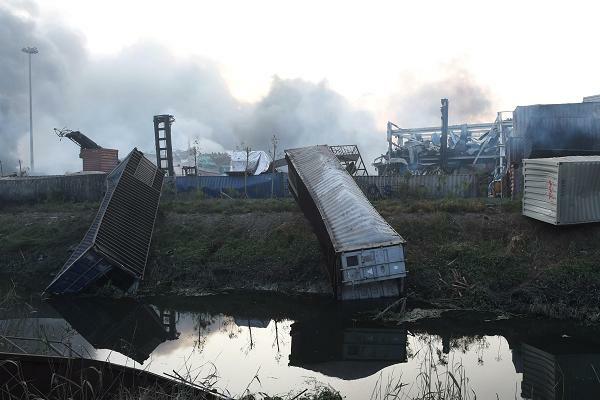 We believe that it was not in the cargo warehouse that the main massive explosion may have originated, although fires may have already started there to mask the main event perhaps. 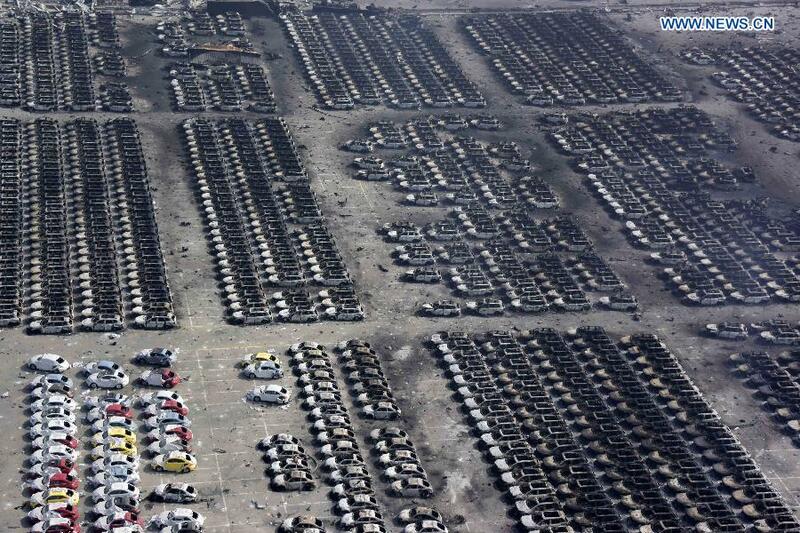 A tactical nuke or similar exotic device may have exploded at the container yard sending those containers skyward. If so, it should be unwise for the Chinese authorities to have allowed the installation of highly explosive chemical storage tanks in any port area in the country that would be exposed to extreme daily solar stress, and we don’t think that’s been the case. However, the presence of diesel fuel in any port area is normal considering that most cargo ships use this type of fuel. But diesel fuel won’t burn by itself, nor will it ignite even if you throw lighted cigarette on it. Fuel explosion may happen only when it is deliberately ignited with much higher temperature. Should a cargo warehouse was at the center of the blast and vaporized, surely no regulated chemicals may have caused a crater like that alone. The crater itself is about a 100 meter wide. Almost a kilometer away, the massive shockwave torn the glass windows of this high rise apartment. 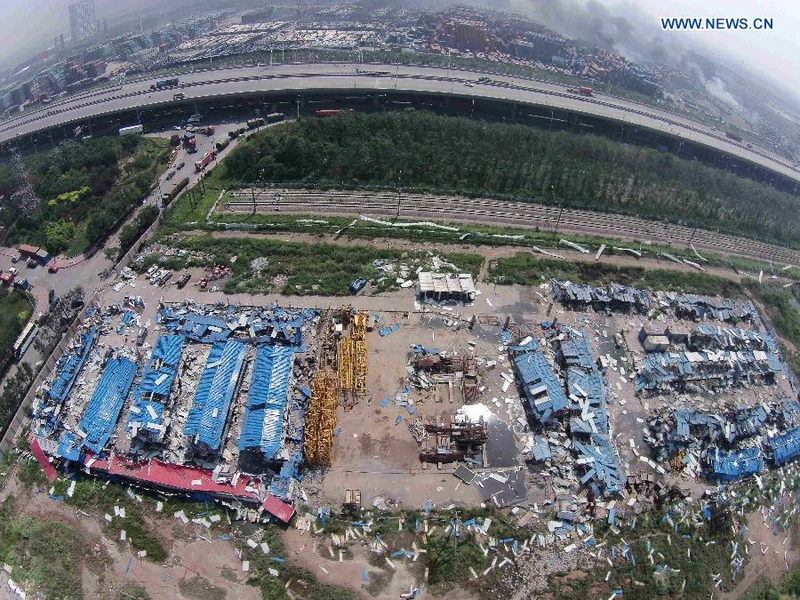 The deformed blue container van below was blown hundred of meters away from the container yard. The personnel quarters area shown below where we earlier thought the blue container above may have came from is hundreds of meters away from the main blast site yet still severely damaged from the blast. 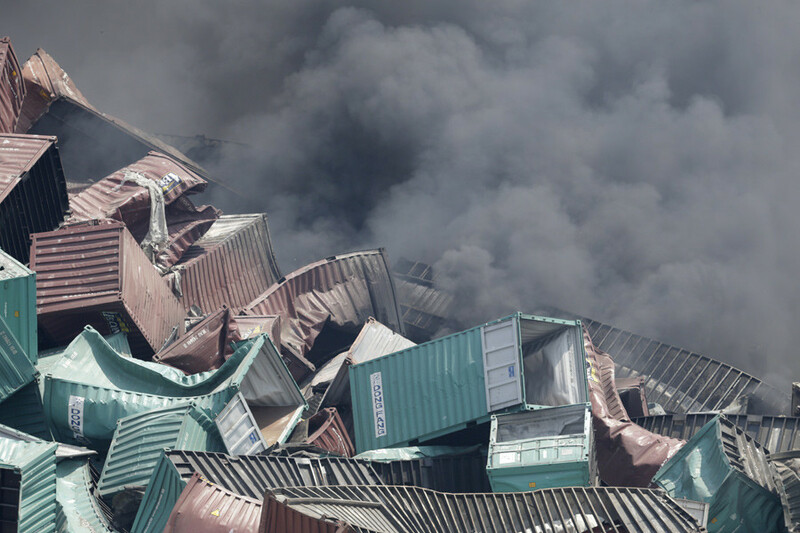 The container yard has high probability of being the epicenter of main explosion that incidentally registered 2.3 to 2.9 on the Richter scale. Hold that figure until you read the portion about the article Nuclear 911 Revealed, below. It’s very clear from the video that prior to that massive explosion, there was a smaller explosion that triggered the bigger one. The main explosion was started with a huge bright flash of light with its shockwaves only felt seconds later. An intense flash of light, as quick as lightning but a thousand times brighter, is the first effect of a nuclear bomb exploded in the air. Heat radiation is then released that is strong enough to set fire to material 14 kilometers (8.68 miles) from the explosion. The bomb’s intense X-ray pulses are lethal up to 3 kilometers (1.86 miles) from the explosion. After the initial flash, a fireball forms and rises, releasing blindingly bright flashes and radiating heat. People up to 80 kilometers (49.6 miles) from the explosion can be temporarily or permanently blinded by looking at the fireball. People within 10 kilometers (6.2 miles) of the explosion will be deeply burned. Lighter burns will occur at greater distances such as 15 kilometers (9.3 miles). The spreading range of heat and light rays depends on the weather. Begins at the same time as the flash and fireball but moves more slowly. Causes major damage to houses up to 14 kilometers (8.68 miles) from the explosion and breaks windows 20 to 30 kilometers (12.4 to. 18.6 miles) from the explosion. Almost everyone would be killed within 3 kilometers (1.8 miles) and 50 percent of the people 8 kilometers (4.96 miles) away would be killed. Causes of death range from blast radiation or collapsing and flying masonry. Hurricane-strength winds follow the blast. That’s for the bigger nuclear warhead, of course. 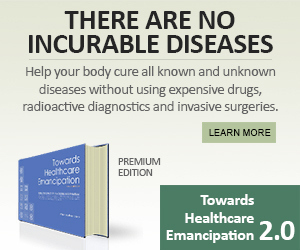 Chinese authorities are indeed saying there’s no radiation in the area, but still require their citizens to wear masks for other toxic chemical inhalation. 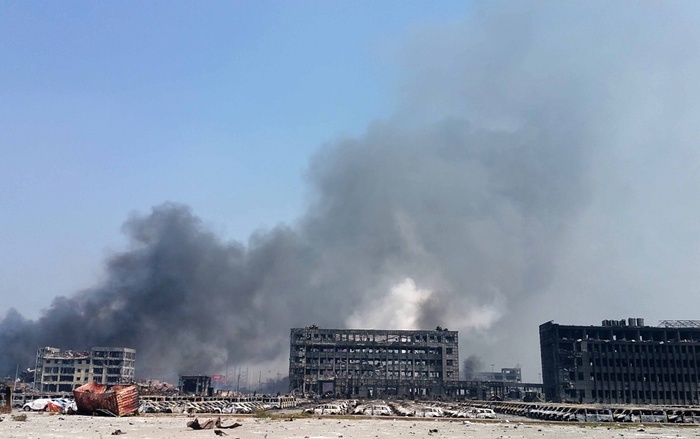 The presence of sodium cyanide at the blast area has been announced recently [15aug2015]. People’s Bank of China has since then fixed the yuan at 6.3975 per dollar versus the previous close of 6.3990, after officials effectively quashed expectations for continued currency falls at a press conference on Thursday. CNBC is calling this strategy as “managed float” for the yuan currency. Whatever may have actually caused the massive explosions in Tianjin China certainly is no ordinary explosives or petrol. The large size of the affected area and the sheer strength of the explosion itself, sending shockwaves to all those taking videos of the scene,and registering as much as 2.9 magnitude, all suggest a much bigger bomb was used as compared to that of the WTC 911. The only consolation to this event is that there were only fewer casualties as compared to WTC 911 as the explosions happened just before midnight, although actual death count is still rising days after the event. Covert operation such as this one has higher success rate and plausible deniability when done under the cover of darkness especially when it’s not preplanned ahead of time. This may not be a tactical nuke but certainly this one has been a triggered explosion at the very least. The desperation is reaching nuclear proportions and it is more than necessary for the Reformists to accelerate their plans of rounding up these suicidal war freaks now before they can cause any more mayhem. Is it possible in today´s world to cover such a thing(a nuclear explosion)?’Even in China(where info is more under control)such thing will come out anyway,if such thing did happen(and so far 44 death people are not “enough” to let us think about a nuclear atack)for real.Just asking. On thing you can nearly bet on is that the US and or one of its cronies will be found to be responsible for the Chinese bombing, probably the same brigade that downed MH-370 which became MH-17! Holy load of ridiculous crap. If it had been a 21kt nuke the heat wave would have killed thousands not hundreds. This was an industrial accident due to improper storage of chemicals. Similar and even larger blasts have happened right here in the US of A. Look up the DuPont Powder mill explosion, or the Halifax Explosion, or for extra credit the Mines in the Battle of Messines explosion. 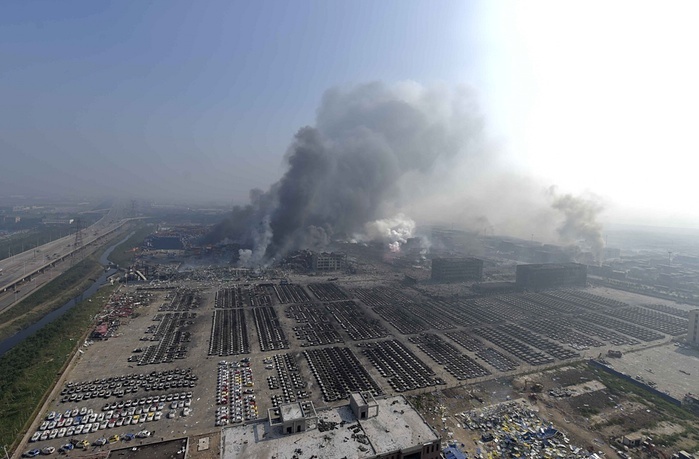 Pingback: Experts Confirmed Tianjin Blast Was Nuclear | What in the world is going on?